moeez is using Smore newsletters to spread the word online. depression and alcohol gose hand in hand because it makes you not think and take action. There are levels to drinking a glass of wine at the dinner table is moderate. 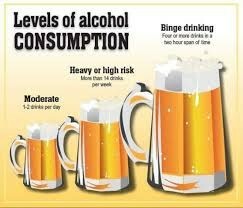 But six beers a day and 2 shoots of whiskey at night is not it is heavy drinking. If you are not careful it can also cause alcohol poisoning. Which happens when you have to much alcohol in your blood. drinking dose also cause damage to your liver which filters and cleans the chemicals in your body. drinking when depressed is also a common thing but then again when you are drunk your frontal lobe of your brain can not process thing right so therefore you sometimes take action without thing. Which can cause people to do ting which they wouldn't sober.